The Mirror Crack’d is a detective drama based on an Agatha Christie novel of the same name. In this instalment of the Miss Marple Franchise, a visiting Hollywood production has come to the town of St Mary Mead. The story focuses on the life of Marina Rudd (Elizabeth Taylor), a veteran actress competing for the spotlight with a younger actress, Lola (Kim Novak), in an upcoming production. When a local resident is poisoned at a grand reception, it is thought that Marina herself was the intended victim. 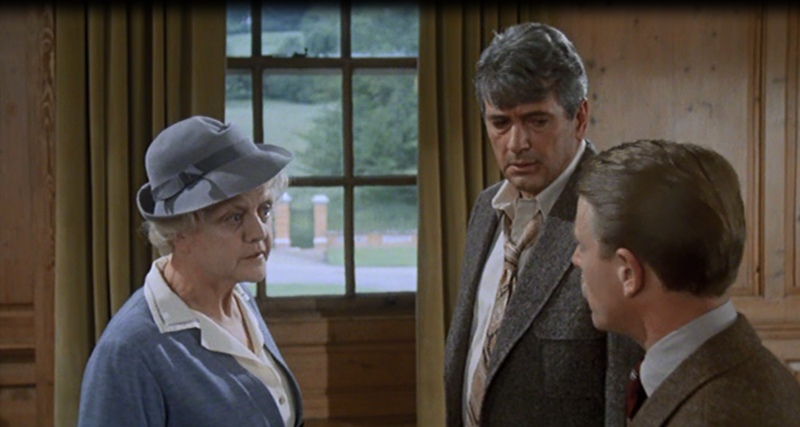 Angela Lansbury (Bedknobs and Broomsticks, Murder She Wrote, Beauty and the Beast) stars as Miss Jane Marple alongside Elizabeth Taylor (Who’s Afraid of Virginia Woolf, Cleopatra), Tony Curtis (Some Like it Hot), Rock Hudson (Dynasty, McMilan & Wife, Pillow Talk), Geraldine Chaplin (Remember my Name, Doctor Zhivago) Edward Fox (Gandi, Never Say Never Again) and Kim Novak (The Great Bank Robbery, Falcon Crest). St Clere Estate, Heaverham in the Sevenoaks District of Kent is a private, family run country estate that today prides itself on being an ideal location for filming and photography, due to its period architecture and beautiful grounds. In this episode, it was perfect of the setting for Gossington Hall, the grand home of the Rudds. Ye Olde George Inn and a Bridge on Church Street in Shoreham are both noticeable in the production, doubling as part of the village of St Mary Mead. Shoreham is a picturesque village near Sevenoaks, famous for its traditional pubs and annual May Day duck race. The village of Smarden and St Michaels Church are also used to double as the village of St Mary Mead. The Thatched House in Smarden was used as Miss Marple’s cottage. Smarden is located in the Ashford district of Kent, and the traditional thatched houses and village shops made it a perfect filming location. The Mirror Crack’d was first released in February 1980 and is now available to buy on DVD. This entry was posted in Filmed in Kent and tagged feature film, Shoreham, Smarden, St Clere Estate, The Mirror Crack'd film locations. Bookmark the permalink.